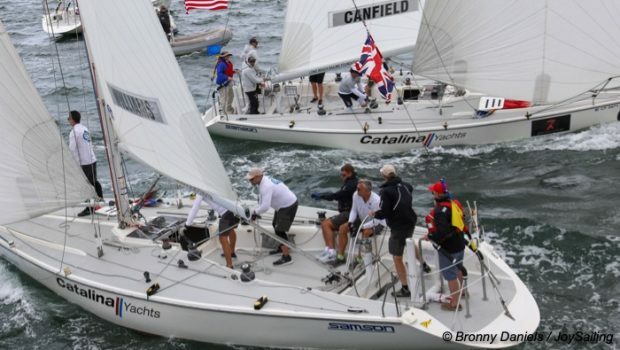 Long Beach, CA (April 5, 2019) – Sweden’s Johnie Berntsson continued to dominate the fleet at the 55th Congressional Cup, hosted by Long Beach Yacht Club. Today’s conditions were brisk, with a swiftly building breeze. As the wind built, and the stakes soared, so did the excitement. Aggressive starts, dial ups and duels gave the spectators on the pier a thrilling show. 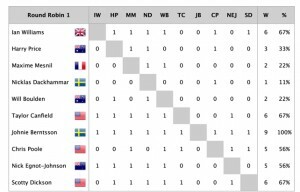 Since the start of the Round Robin series here, Berntsson has logged an impressive 14 wins: his only losses have been to Ian Williams (GBR) and Taylor Canfield (USA). Three-time titleholder Williams (2011, 2012 and 2017) finished today 12-4, and defending champion Canfield (2014, 2015, 2016 and 2018) ended at 11.5-2.5 (reflecting a .5 penalty). Berntsson, who last won a decade ago, tops the chart at 14-2. Regardless of their positions, one thing is for sure: all three past victors have secured a spot in the semi-finals, which start tomorrow, Saturday April 6. A battle remains for that coveted fourth berth. 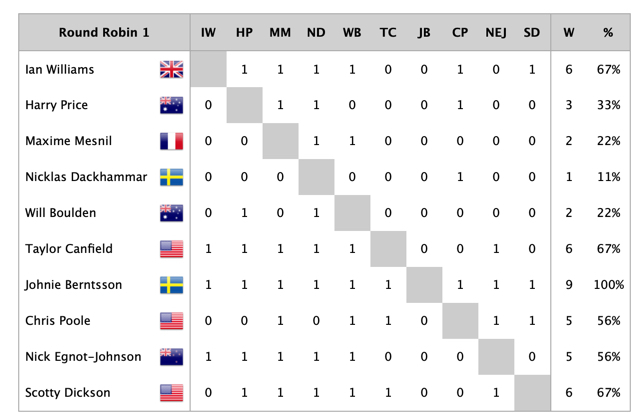 Nick Egnot-Johnson (NZL), who faltered yesterday after a strong start, rebounded today with three wins, giving him a one point advantage over Scott Dickson (USA), and two points over Chris Poole (USA). 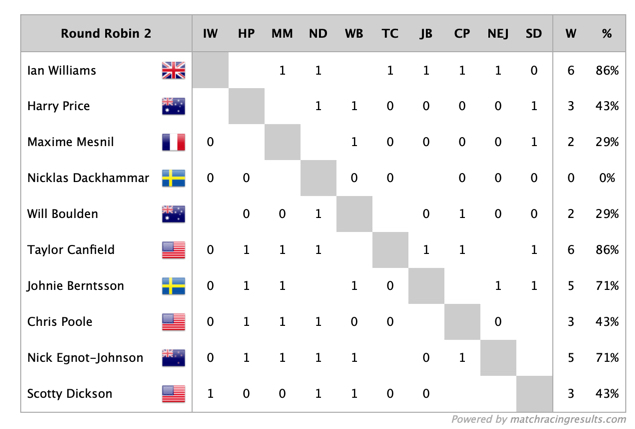 Two final Round Robin races will determine which skipper stays, and who goes home. After a solid day, with just one loss, Egnot-Johnson was optimistic, saying, “It’s all on for tomorrow.” But the most fun he had all day, he confessed, was winning the Junior Congressional Cup. Each year, competing skippers are teamed up with youngsters from the LBYC Junior Sailing Program. They compete in FJs, with the Juniors at the helm, each with one of the world’s top match race skippers as crew, in Alamitos Bay. After a practice race, the gunshot rang: competitors lined up for the start and dashed around the course as parents cheered from the LBYC deck. Perhaps that’s a good omen for tomorrow. 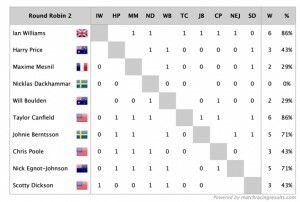 At the conclusion of the Round Robins, the top four teams advance into semi-finals; then the fleet will race back to the yacht club for dinner and karaoke night. Sunday will be the concluding petit final and final series for the prestigious Congressional Cup trophy and honors. The Congressional Cup was founded by Long Beach Yacht Club in 1965, setting the standard for top-level match racing worldwide, and pioneering the concept of on-the-water umpiring. Teams race aboard a fleet of one design custom Catalina 37s, equipped and maintained to exacting standards, to guarantee fair competition. Racing continues through Sunday, April 7 as competitors battle through a Double Round Robin series, to advance to semi-finals and finals over the weekend. Racing takes place in the Congressional Cup Stadium, a designated course off the Long Beach Belmont Veterans Memorial Pier.